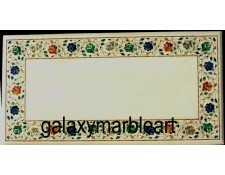 MARBLE INLAY WORK TABLE TOPS INLAID WITH SEMI-PRECIOUS STONES. 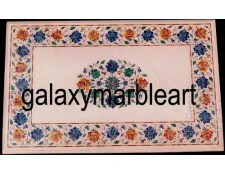 These Pietra dura marble inlay table tops are beautiful work of marble inlay art and are inlaid with different semi-precious stones. 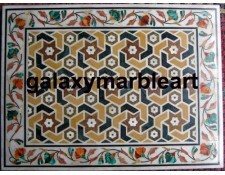 These Table tops are loved by people for their beauty and are used as dining, coffee and side table tops. 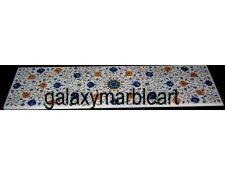 These are the most popular inlay items and are available with or without the base.Table tops placed on marble base with inlay makes a beautiful set.The base is made in the similiar design with less work. 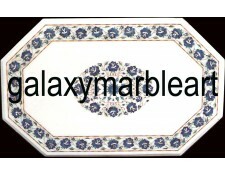 These are washable with soap and water. 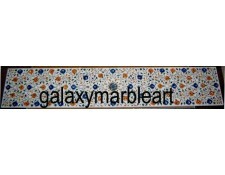 If you like the base for these table tops then it can be chosen from our base section. 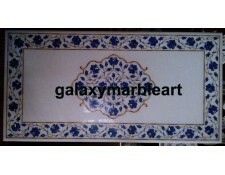 If the base for a particular table top is not found under our base section, then it will have to be made. 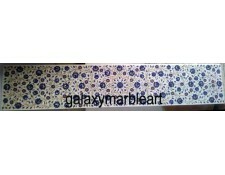 The diagram below will help you in determining the size of the dining table top for the required number of people. 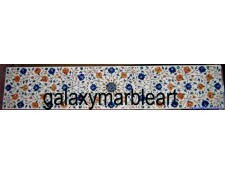 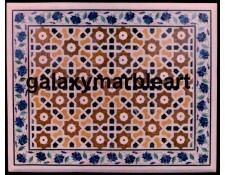 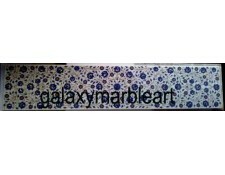 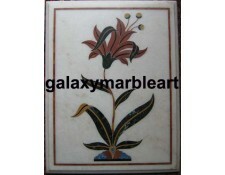 WHITE MARBLE INLAY TABLE TOP 18x14"Inlaid with lapis,malachite,cornelian..
AGRA MARBLE INLAY COFFEE TABLE TOPThis white marble inlay work table top is made by our expert ..
WHITE MARBLE INLAY TABLE TOP 21x17"Inlaid with lapis,malachite,cornelian..
COFFEE TABLE TOPMarble inlay table top rectangular inlaid with semi-precious stones with..
Taj mahal marble inlay table top rectangular inlaid with semi-precious stone..
HOME DÉCOR MARBLE INLAY TABLE TOPThis white marble inlay work table top is hancrafted by our e..
HOME DÉCOR MARBLE INLAY CONSOLE TABLE TOPThis home decor marble inlay rectangular console table was .. 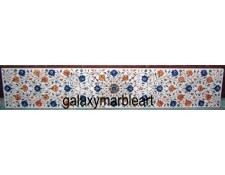 CONSOLE TABLE TOP WITH STONES INLAY WORK FROM GALAXY MARBLE ARTA semi-precious stones inl..
HANDCRAFTED MARBLE INLAY TABLE TOPThis white marble inlay work table top is hancrafted by our..
MARBLE INLAY CONSOLE TABLE TOPA marble console table top is inlaid with semi-precious sto..
console table top with stones inlay 49x10"
HANDMADE MARBLE INLAY RECTANGULAR TABLE TOPThis white marble inlay work table top is hancrafte.. 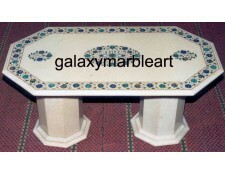 Dining table top with inlay 53x27"
Agra marble inlay table top rectangular inlaid with semi-precious..
MARBLE INLAY COFFEE TABLE TOPA marble table top is inlaid with semi-precious s..
marble inlay console table top 63x12"
STONES INLAID MARBLE TABLE TOPThe coffee table top has a geometrical center design from a Mughal mon..